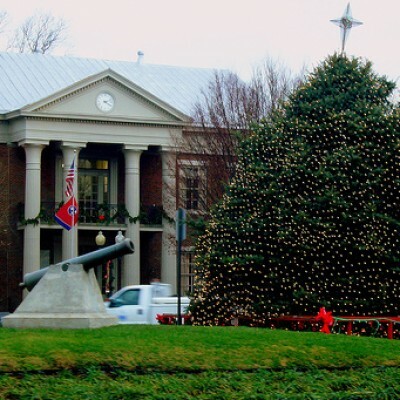 Franklin TN has a total of 760 Residential properties listed for sale as of December 15th, 2011. There were 761 homes that sold and closed in the time period of June 15th, 2011 through December 15th 2011. Closed sales are properties that have sold and that the transaction between the buyer and the seller is complete. I can now determine how many months of inventory are currently on the market based on the number of properties currently listed for sale and dividing that number by the the absorption rate for the time period of June15th, 2011 thru December 15th, 2011. The above chart shows that there are 760 listed properties in Franklin and the absorption rate is 127 residential properties a month. This means that as of December 15th 2011, Franklin has six months of inventory. I am including here a quick comparison of the last 30 days of sales so that we can see how this compares with the past six months. With this information we can now see that in the 30 day period of November 15th, 2011 through December 15th, 2011, there were 116 homes sold and closed. That gives us an absorption rate of 116 sales per month. With inventory as of December 15th, 2011 at 760 homes for sale, our adjusted months of inventory comes to a slightly higher time frame of 6.55 months of inventory. This is a very positive sign in my view as sales were not down significantly in a month where sales are not traditionally as high as warmer months with out having as many day's affected by holiday's.